After shopping as I unpack my purchases at home I always end up shaking my head and pointing to the sky shouting “Why? Why?”. You know what I am talking about…end cap shopping. Each time I walk through the aisles at Walmart I get caught. I get to the end of the aisle and it doesn’t matter if I turn left or if I turn right but just like the Vegas lights the glitz and the glamour of the end cap display always bites me. 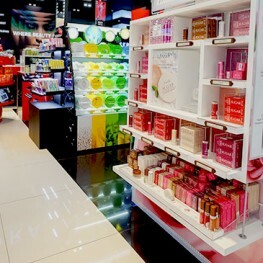 And normally, it isn’t even a product that I need (usually want) but that display fixture gets me each and every time. That begs the question – how and who makes these things? The answer of who is easy – as some of Global Shop Solutions’ great, great customers are many of the leading display fixture manufacturers in the world such as CAP & Associates, Harding Display Group, Alambres Decorativos, Chandler Signs, Preferred Display, Design Display, Advanced Fixtures, B&N Industries, and Universal Display who is the largest supplier of store fixtures for Frito Lay and the Pepsi Group. 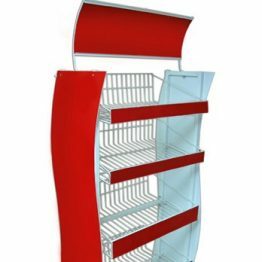 The question of how display and store fixtures are manufactured is more complex and the following three challenges are what our store and display fixture customers ask us to help them solve every day. 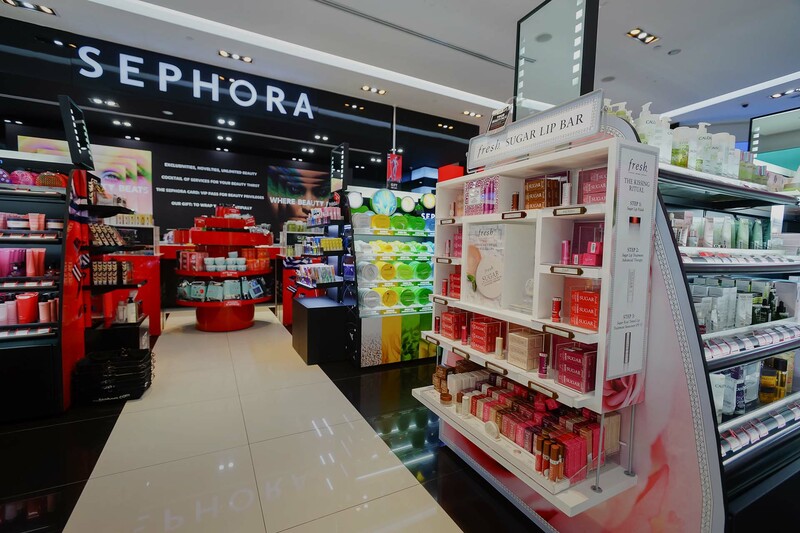 There’s a trending factor in store displays and fixtures that the designs be modular or interchangeable, allowing stores to reconfigure the modules to make new or different displays. For the retailer, this is a cost savings allowing them to re-use existing fixtures, or modules of those fixtures, without having to purchase all new equipment every shopping season. From the manufacturer side, this can be both complicated and simple, depending on the approach they take. With the challenge of flexibility accurate costing becomes important. The fixture industry is very competitive and 1% or 2% on pricing can make the difference between winning or losing a long term contract. Shop Floor Control can help manufacturers learn what their true costs are. If you know your costs, you can be more precise with pricing structures and also figure out where you can cut costs to potentially lower prices without losing profit. Global Shop Solutions ERP software will help you accomplish true costing. Many retailers, especially on the west coast of the Unites States, are requiring that manufactures start using renewable resources and obtain certifications that their company can provide product that comes from managed forests. 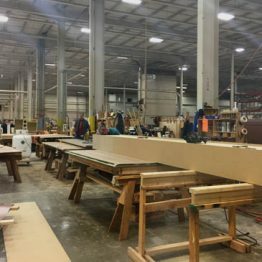 Like all companies that use hardwoods, particle board, or plywood in their finished products, there comes a responsibility to prevent deforestation. Insuring that the materials they use are purchased from managed forests, they can ensure their customers that they meeting up to the standards of the retailer. 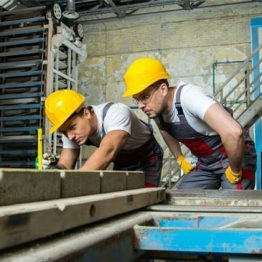 For manufacturers, this puts a strain on purchasing managers and inventory managers to maintain and track inventory in ways that they’re typically not use to. Use of renewable resources often requires traceability. From an inventory perspective, adding GS Mobile and following the guidance of an experienced consultant, traceability on renewable sourced inventory becomes a simple task. The traceability requirements of renewable sourced inventory in display and store fixture manufacturing are similar to those of the oil & gas industry where certifications of compliance are required to accompany all delivered product. A customer in Houston that has to follow these same procedures had a 75% savings in man hours spent accommodating the traceability requirements of their customers. From a technology perspective, retailers seem to be far ahead of their fixture suppliers with electronic data interchange (EDI) or XML data transfer. This puts additional burden on office staff just to keep up with the pace of order entry. Retailers are submitting several orders daily, from multiple locations, usually through an electronic format, and if the manufacturer is not equipped to handle it, this can be quite time consuming. EDI or XML data integration can get manufacturers on a level playing field and keep up with the demands of the tech-savvy customers. 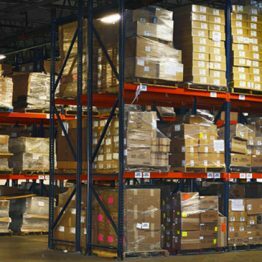 A fixture manufacturer in Wisconsin implemented EDI to handle the large volume of daily orders. Order entry time was reduced by nearly 85%. 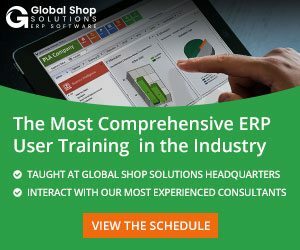 If you want to learn more about Global Shop Solutions ERP software we recommend you visit our product page. And to learn more about our successful customers we recommend you visit our case study page where you will find nearly 150 successful customer stories publicly available, more than any other ERP software provider in the world. Adam Grabowski is the Director of Marketing at Global Shop Solutions. He is responsible for translating the company’s business objectives into successful brand, marketing, and communication strategies to drive awareness, revenue, and loyalty.